Lay Down to Earth Yes, I am a man with an eye pillow. I received this Down To Earth Eye Pillow from The Happy Company. 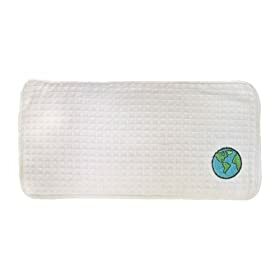 It’s made from 100% Organic Cotton, and comes minimally-packaged in recycled paper printed with soy-based inks. I used to be the last person in the world who would have an eye pillow. Now I can’t wait to cool this baby down in the freezer and lay back with its light and easy aroma of eucalyptus. Wanna Walk? When was the last time you went for a walk? To me, walking for its own sake is de-stressing at its simplest. If you’re already a walker, I recommend a visit to a walking labyrinth found via the World Wide Labyrinth Locator. I’m getting a little hippy-dippy here, but I promise there’s nothing spooky about it. You may even find David Bowie in there. They are meant for meditation without the sitting still. Your concern about where you’re going becomes secondary as you let your mind relax and go with its natural rythms. Definitely something to try. Meditate While we’re at it, the sitting still kind of meditation is wonderful in 10 minute intervals. You would be amazed at how it can turn around a busy day. Try this Meditation 101 from Yoga Journal. Since Ethical Explloits explores the triumphs and disappointments of ethical living, I have to acknowledge that it can get very difficult out there. Why do the worlds of fashion, food, and pop culture have such mixed up values? It stupefies me. But fear not! By becoming Discerning Brutes, we can choose to embody poise and style as our weapons rather than stress and anger. We worry enough as it is, and just don’t need the health detriments that anxiety brings. I say invest in de-stressing. Schedule it, do it, hold to it, and be at your optimum. Matt is an actor, singer, closet poet, dancer, avid reader, guitar picker, waiter, home cook, nosey coffee shop guy, animal lover…he basically has to know how to do everything. He lives in New York and Los Angeles.